Northern Knights secured a two-wicket victory over North-West warriors in a low scoring one-day interprovincial encounter. Economic bowling from Mark Adair and James Dow restricted the Warriors to 139 at Eglinton. 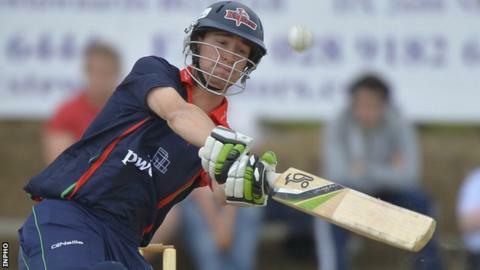 The Knights struggled in reply before reaching 141-8 in 38.5 overs with Chris Dougherty hitting 46. It was revenge for the visitors after an early season eight-wicket defeat at the hands of their opponents. This was the Knights first victory in three outings while Warriors have one success. Holders Leinster Lightning have defeated the Knights twice and in the final game of the competition they play Warriors on 9 September at Leinster Cricket Club.